Shameela teaches three exciting and mesmerizing dance forms. Tribal, Bollywood and Oriental. Over the past 18 years Shameela has been empowering women by creating a safe dance space for them to express their femininity and sensuality. Women from all walks of life and all shapes and sizes young to old enjoy the health benefits such as toning their muscles, improving posture and flexibility and strengthening abdominal and pelvic floor muscles. One of the things that makes these dance styles so popular around the world is that it brings together communities of women, with a common interest in the universal expression of dance. There is a grounding and awareness of one’s body connecting us to the feminine experience, nature and mother earth. There is also a building of self-esteem and a discovery of an inner beauty, which is outwardly expressed through the dance giving a sense of vitality and well being. TRIBAL Bellydance is a unique fusion style of dance which has developed from America and spread around the world over the past 20 years. It has strong ethnic roots drawing from The Middle East, North Africa, India and Spanish dance forms. The costuming is distinct but is inspired by folkloric Tribal costumes of Western and Northern India, Morocco and Tanzania with lots of Afghan & Rajasthan style jewelry, headwear, tassels and village embroidery. In recent years Tribal Style has included combinations of ethnic and electronic music creating its’ own sound and feel. It weaves its’ magic in new and innovative dance moves, costuming and style adding that touch of Gothic, Burlesque, Flamenco and Gypsy. Shameela teaches various Tribal styles within her classes including. Fat Chance ATS Tribal, Indian Tribal Fusion and Oriental Tribal fusion styles. BOLLYWOOD dance was born out of the Indian Movie industry and embraces both Indian and Western cultures. The infectious upbeat Indian music combined with ancient and modern arm and hand gestures gives this dance a unique style which is both fun and dynamic and culturally rewarding. Shameela has created her own fusion style of Bollywood including ancient Indian and Egyptian temple poses, Indian hand Mudras used in meditation and yoga practises as well as bellydance isolations and shimmies. ORIENTAL bellydance - Known as the mother of all dances belly dance has its roots in the temples of Egypt over 4,000 years ago and was originally danced by the temple goddesses. It is uniquely designed for the female body with an emphasis on inner body isolates including rounded and snakelike formations, as well as the exciting shimmy and percussive moves. 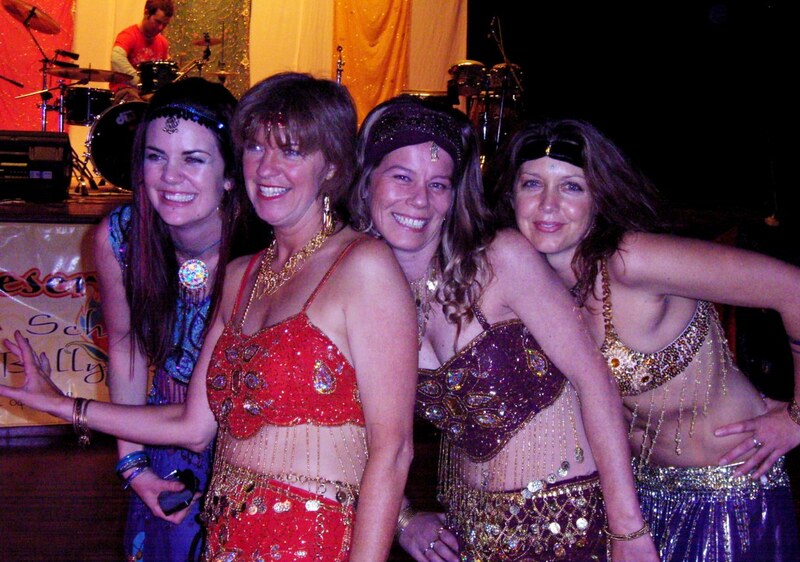 Whether it is shimming to a fast drum beat or using beautiful flowing veil movements the emphasis is on connecting with the Ancient art of Bellydance. Shameela teaches various styles of Bellydance including Saiidi stick dancing, Egyptian Beledy, Oriental Veil, drum solos and more.